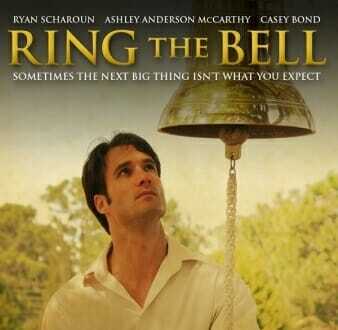 Ring the Bell is the story of Rob Decker (Ryan Scharoun), a slick sports agent who is addicted to worldly success and really does get things going his way. In spite of all these achievements his life is pretty empty. His is a story of finding satisfaction and fulfilment in the wrong things which do not bring the desired outcome. It is one of the Christian movies that shows us how we can easily get deceived by the worldly and miss God in the process of desiring certain things in life. Rob Decker is used to the fast life of the big city and everything is about making money and closing deals as is the case with most big cities. He is a young man in his thirties and all that matters to him is running a successful sports agency even at the expense of others. His biggest goal is to sign a young baseball player with so much talent and make a lot of money for the player and his agency. He almost destroys important relationships to achieve that but God begins to do a work in his life as he sets out on that journey. Rob Decker meets Daisy Cook (Ashley Anderson McCarthy) a lovely young lady, devoted to the Lord who begins to show him a different way of living. Daisy lives in a small remote town where life is much simpler. She brings to Rob’s attention things that really matter in life and it proves to be a journey of finding answers and getting to know God. In our society today you may know people like this who are so driven by worldly success that they forget the more important aspects of life like having a right relationship with God and others. Maybe you have a similar challenge yourself and you need help to overcome it. By spending time in a small remote town where Daisy Cook lives God begins to teach Rob Decker things that are important in life. He gets challenged on a different level and eventually makes the commitment to give his life to the Lord. Ring the Bell is one of the Christian movies I recommend you watch and also features musicians Steven Curtis Chapman and Mark Hall. It is entertaining and has valuable lessons to embrace. Looking at your own life today, are there areas that have become idols that are stopping you from having a right relationship with God? We are living in a stressful and demanding world but God desires that you find rest in Him and not in the things of the world. You do not have to resort to sacrificing family and friends to achieve worldly success. God desires that you live a life of abundance but not at the expense of what He values most which is loving Him and loving your neighbor as you love yourself. Ring the Bell will teach you a lot and so I encourage you to get the movie and watch it with your friends and family. Remember to leave your comments below and to share this post on social media.